3. Rand's "pure" capitalism requires an ethical outlook by all members of a society that is utopian, has never existed, and probably will never exist. In fact, if it did, we might choose not to be capitalistic! This outlook has two contradictory aspects. On the one hand, it is entirely selfish; on the other hand it requires ideal rationality. Thus, Branden notes that capitalism implied and required a system of ethics that does not yet exist: a morality of rational self-interest (1965). If altruists foolishly assert that the profit motive is evil, that able people must work for the good of society, then they resemble devout collectivists, who often espouse totalitarianism. What Branden (following Rand) seems to mean, is that the pure capitalists only work for their self-interests and do not concern themselves with those of others (although, of course, they must consider others to some extent in order to trade with them  ). This kind of extreme selfishness has never worked in human affairs and probably never will: for (a) it is social Darwinism that would lead to the annihilation of many weak individuals, and (b) it would result in continual upheaval, dislocation, and overall loss to the economy when the strongest persons bankrupted their competitors. This would cause the dislocation and devaluation of the competitors' assets, workers, suppliers' workers, and the subsequent discomfort and loss for the society. Since competition never ends, all companies would fail over time, wreaking havoc again and again. Actually, I believe, if capitalism were to be a really good system, what would be needed is for humans to have a morality of "rational self-interest' that included (a) long-range, sustainable pleasure -- that is to say, rational hedonism, instead of short-term, destructive hedonism; (b) some considerable degree of social as well as of individual interest; and (c) a recognition of the fact that as long as human beings live together, it is desirable (though not absolutely necessary) that they engage in a good amount of cooperation, collaboration, and compromise. If every capitalistic entrepreneur were guided by this kind of morality of rational self-interest, then capitalism might survive without bringing various kinds of state control that it has always engendered. For under these conditions, capitalists might not deplete the land of irreplaceable natural resources, pollute the atmosphere with noxious chemicals, make many of the waterways unfit for human enjoyment or animal life, market harmful drugs, etc. However, since capitalists must compete to survive, if their competitors resort to unethical  actions that give them an advantage over an the ethical company in the short run, the long run benefits will never be achieved and everyone suffers. The fact is the vast majority of men and women are not entirely ethical. And if they were, they might well decide that a rational, mixed form of collectivism, rather than a pure form of capitalism, would be the better kind of economic system to follow. Rand espouses a one-sided view of capitalism that simply ignores its other facets. She exaggerates that it is terrible when people criticize consumerism in contemporary capitalistic society. She rants about "irrational" economists who proclaim that the essence (and the moral justification) of capitalism is "service to others--to the consumers," that the consumers' wishes are the absolute edicts ruling the free market (1966b). Actually, capitalism, like just about every other human system, is not one-sided; rather it is dualistic--the two things are not separate at all. Just as production is the precondition of consumption, so is consumption the precondition of production. For no capitalist, no matter how free the market, would think of producing anything unless they were reasonably sure that, sooner or later, there would be a good market for it. If they knew, for example, that they could make a perfect mousetrap and make it cheaper and better than any of their competitors, they would still not produce it if there were no mice around to be caught, and no people interested in catching them. Although capitalists would normally not manufacture anything merely to serve others, serving others is exactly what they do; it just has to be profitable. Thus, serving others cannot be entirely divorced from capitalist motives. 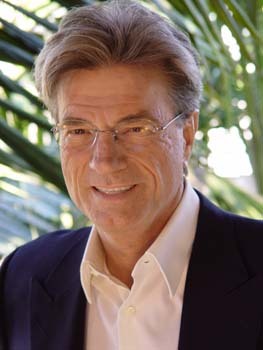 Moreover, although Rand keeps emphasizing productivity, and tends to make manufacturers the heroes of her books--such as Rearden in Atlas Shrugged-- the fact remains that production today is a diminishing part of the capitalist system, while the production of services (such as entertainment, advertising, teaching, medicine, psychology, and research) is now a large and integral part of capitalism. While up to 90% of the population once worked in agriculture, today less than 1% work in farming, due to harvesters, and mobile factories, etc. While 65% of the population once was employed in manufacturing, there is now less than 18% of the US population in manufacturing, due to cheaper, more reliable machines, computers, and robotics. The same is happening to the service industry today--as we see self-checkout at K-mart, self-check-in at airports, and self-ordering online. Dualistically, this frees people from much of the drudgery of life. Jeremy Rifkin, in his book, "The End of Work", points out that soon there will be almost no work as computers and robots eventually take over repetitive tasks. The problem is that one capitalist's worker is another capitalist's customer -- for when they fire a worker, they fire a customer too; if they pay workers less, their customers buy less and their profits eventually fall. It is absurd, therefore, to assume that either production or consumption is a precondition for the other; or that as long as the producer is left untrammeled, capitalist heaven will manifest itself here on earth. It is even more absurd to set up production as the one precondition for reason, justice, reality, and ultimately happiness. True, most of us would not last very long if someone did not produce food; but even with sufficient production--reason, justice, and happiness would hardly prevail automatically! a. While one of the essences of capitalism is the operation of a free market, its practical and actual essence is profit making. Real-life capitalists will do almost anything to derive a profit; and will think nothing of abrogating various laws, especially those of supply and demand, if they can even temporarily make a good income from doing so. Many--indeed most--of the special regulations, subsidies, or franchises which governments grant in order to create coercive monopolies are granted because some capitalist venture lobbied, bribed, propagandized and otherwise pressured government into granting it such special privileges. As long as such privileges are profitable, and capitalists are allowed to pursue the profit motive fairly freely, there is every reason to believe that businesses will continue to demand and receive government-backed monopolistic privileges and that the operations of the free market will not be maintained. Capitalists who construct coercive monopolies may be cutting their own throats by doing so, but that seems to be one of the main conditions intrinsic to any brand of capitalism that has yet existed or will probably ever will. Various capitalists, ostensibly for their own profit motives, cut their own throats (as well as those of their competitors) in many ways. Tough! But this is the grim reality of profit making that Rand fails to acknowledge. Her "capitalist" never does anything wrong or stupid, because, by definition, he is an all-knowing, all-beneficent god who can do no wrong. b. Although it may have been true at one time that coercive monopolies were not necessary and that it was possible (but not easy!) to avoid their growth, this is probably not true today. In the old days, almost anyone with a little capital could open up a business and did not have to get involved with any kind of governmental agency. Today, many industries--such as the production of large aircraft--require an investment of literally billions of dollars, which is a small, but significant portion of the total economy; A huge investment gamble for any one firm. Because of that, capitalists require some kind of guarantee that parts of the government (such as the armed forces) will purchase large numbers of the finished product. Even more important, perhaps, is the fact that there are certain industries, such as atomic power, which are just too big for any ordinary-sized business, and have to be run largely along the lines of a coercive monopoly. Moreover, competition would require duplication of time, energy, and waste of too much of our resources. For, such industries have to be regulated to a considerable extent by government agencies; and they have to be subsidized or guaranteed by the government as well. Therefore, if it was feasible in Adam Smith's day for business to operate completely along the lines of the free market, and history shows that even then it wasn't--it seems clear the huge benefits from a single, regulated producer in the mass production of certain kinds of products, has made increasing governmental control over those businesses a virtual necessity.